Fill this form out, and we’ll get to work on your request. Thanks so much for notifying Dharma of a large transaction! This will help us process your funds as quickly as possible. You may upload an invoice or signed receipt below. Please also enter any pertinent notes about the transaction that may be relevant to the size. We'll require proof of your updated bank account. That can either come as a voided check (pre-printed with your organization's name and contact information) or a letter from your bank, stating your new account information. What is the new DBA you'd like to use? DBA names can be a maximum of 25 characters! Please enter the new contact information to be added to the account. Please enter the new DBA information for the account. Enter the average transaction size. Calculate your average transaction by dividing monthly volume by total transactions. Enter the monthly credit-card volume you'll process. If your processing varies from month to month, enter the value for the largest month. Enter the largest transaction you'll process. Transactions larger than this amount may be subject to review and delayed funding. Please tell us what day you need an active account. Please note, account activation can take up to a week depending on circumstances. You may also wish to visit our Support Pages and FAQ base to learn more. If you are still experiencing issues, please explain your situation below in as much detail as possible. If your organization is changing forms and being issued a NEW Taxpayer ID (EIN) number, then we are required per IRS law to report your income under unique Merchant numbers. This means that we'll be required to open a new merchant account under the new entity's name. Please click getting started at the top right of your screen and complete a pre-application in order to ensure that we have all of the proper information for the new entity. Thank you! It's easy to purchase paper from Dharma - click Support at the top of the page, then scroll down a tiny bit and click Where Do I order Paper/Supplies to place your order. We are happy to assist with the purchase of a new terminal - just fill out our online form and tell us what you'd like! Please tell us why you've chosen to close your Dharma account. After clicking "Submit" the next step is to await an email from Dharma. It will arrive momentarily, acknowledging receipt of your request. 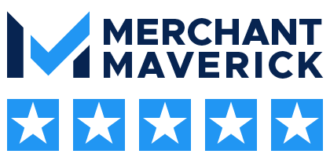 This email will be sent to the email address we have on file associated with the Merchant ID you've entered above, in addition to the email address you've entered. If you do not see this email, please check your junk/spam folder.